On August 26, 2016, New York Times Op-Ed Columnist David Brooks shared an article entitled “The Art of Gracious Leadership.” While his article was primarily directed towards presidential candidates, his observations regarding some of the most revered leaders in history provided a strategic opportunity for CEOs in all settings to reflect upon how they lead. At the time it seemed ironic to hear this particular call to action for Gracious Leadership as I had held deep convictions for many years regarding the imperative to lead with grace. In fact, earlier in 2016 I had made presentations about Gracious Leadership at the request of leadership development organizations. As a veteran C-Suite leader within the healthcare and financial services industries, I learned early on from blue chip mentors the importance of displaying confidence and humility. I learned that in order to hold my teams accountable, the buck started and stopped with me as I was responsible for being crystal clear with my staff in advance about performance expectations. I learned that accountability and compassion were not mutually exclusive, and I also learned that employees were starving for feedback because they wanted to understand the true impact of their work. In fact, I saw employees’ eyes “light up” when I thanked them for a job well done and how they listened in earnest as I shared direct, yet kind candor regarding how they could be more effective. As the chief executive of my organization with almost 2,000 employees, I had to own leading the way by consistently role modeling the attributes of fully respectful, peak performance leadership. I also had to ensure a positive, ripple effect throughout the organization as my leaders were expected, not only to emulate gracious, accountable behaviors, but they were also to teach the same principles within their respective spans of control. Early in my tenure as a hospital president, I encountered resistance from cynics who believed Gracious Leadership was “soft stuff.” Quite frankly, they were wrong! Through practicing the grace and tough love that are integral to Gracious Leadership, we transformed a struggling, community hospital into an award-winning, high performance regional medical center ranked within the top 5% of hospitals nationally. We had highly engaged employees, physicians who happily collaborated to achieve excellence, very satisfied patients, outstanding quality and great financial results. Gracious Leadership is not soft stuff. Indeed, it’s strategic! The application of fully respectful leadership has also served other corporations well. 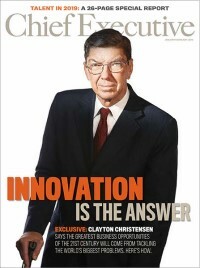 As an example, the turnaround several years ago at Campbell’s Soup was grounded in then CEO Douglas Conant’s conviction that “To win in the marketplace, you must first win in the workplace.” Conversely, organizations such as American Apparel and Uber have suffered costly reputational damage and value deterioration because the toxic behaviors of their CEOs were permitted. And seemingly on a daily basis, we are bombarded with stories of high profile, toxic leaders. Sometimes it makes me wonder that if, without intervention, we could be approaching a crisis of leadership. I believe that teams of all types, within any industry, can reap great rewards by displaying respectful behaviors as they seek to reach greater heights. This holds true at home, on the basketball court, in the C-suite, or in the boardroom. My hope is you will be inspired to become more purposeful about being a fully respectful, peak performance leader and lead like you’ve never led before… starting today!